Israel’s Technion Institute of Technology and the Hebrew University of Jerusalem were listed in the top 100 universities in the world by the Academic Ranking of World Universities, otherwise known as the Shanghai Ranking. Technion, which was in the 93rd spot last year, shot up to the 77th spot among universities across the globe. 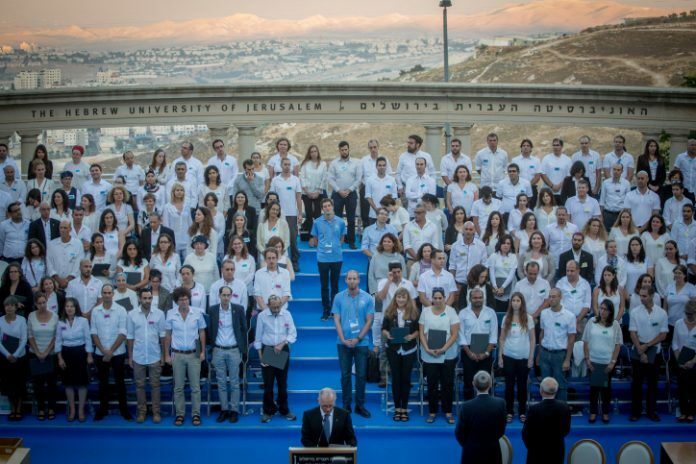 Hebrew University, which did not make the list last year, reached the 95th slot. The Shanghai Ranking list was topped by Harvard University, followed by Stanford, Cambridge, Massachusetts Institute of Technology (MIT), the University of California at Berkeley, Princeton, Oxford, Columbia University, California Institute of Technology (Caltech) and the University of Chicago. The rankings factor in the number of Nobel Prize winners emanating from the university, as well as the number of publications in acclaimed academic and scientific journals. Israel was the only Middle Eastern country to be featured in the Top 100 list, and one of just 18 countries possessing all the top-tier schools: the United States, Great Britain, Japan, Switzerland, Canada, Denmark, France, Australia, Sweden, China, Germany, Netherlands, Finland, Norway, Belgium, Singapore and Russia. The Weizmann Institute of Science was listed in the group of institutions ranked 101-150, Tel Aviv University ranked between 151-200, and both Bar-Ilan University and Ben-Gurion University of the Negev remained in the group ranked 401-500. Next articleDating Forum: Why Are Ashkenazim and Sephardim Like Oil and Water?